This website introduces my book Relational Integrative Psychotherapy: Engaging Process and Theory in Practice and lays out some key ideas about how psychotherapists engage their work in relational and integrative ways. I wanted to create a resource for Integrative Psychotherapists and trainees who seek to work in relational ways. More than simply being a website to market my book, I wanted a site which offered practical ideas, information and resources for supervisees/students (and their supervisors/trainers). In addition to giving a synopsis of the different book chapter topics, I offer associated handouts for each chapter along with videos, diagrams and other bits. I also provide some important links, and list of further resources and recommended readings associated with each chapter. (This is work in progress – so bear with me!). On the different pages, I list a few personal favourites and recommended resources that have inspired my practice. Also check out the full reference list which lists all the ones I’ve used in my book. I want this website to be a useful interesting practical resource so I hope you will enjoy, and gain from, reading the different sections. Maybe you’ll feel inspired to dialogue with me or to recommend some further links. Feel free to contact me directly on linda@lindafinlay.co.uk. Over time I hope to develop the handouts and resources so if you have any ideas about these let me know. Finlay, L. (2016). 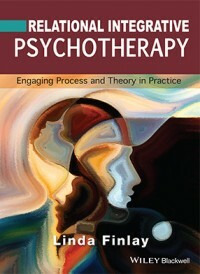 Relational Integrative Psychotherapy: Processes and Theory in Practice, Chichester, E.Sussex: Wiley. (See also my website: www.lindafinlay.co.uk).